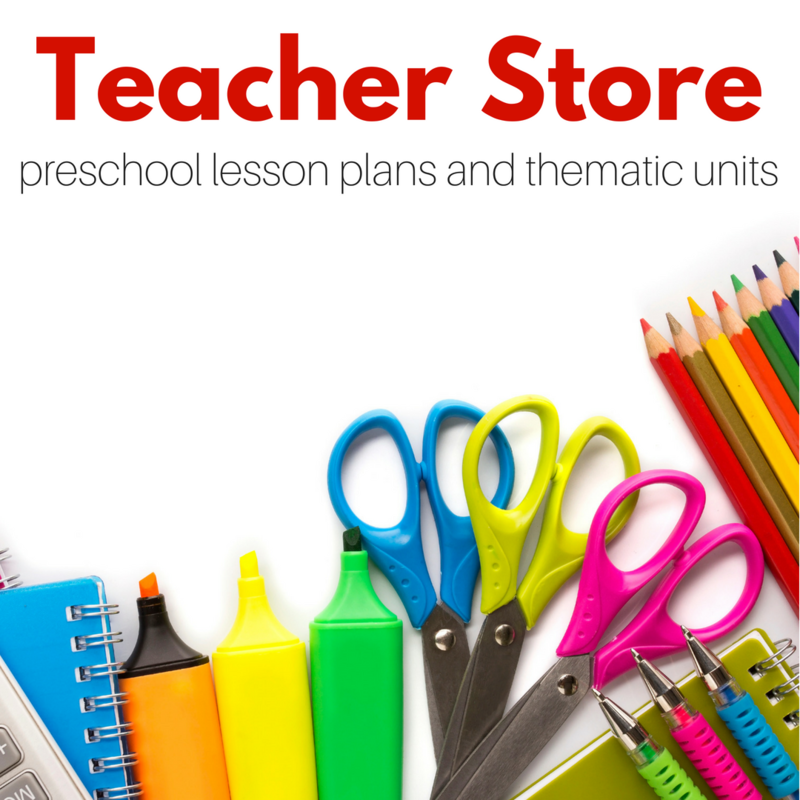 While I have devoted my life to teaching preschoolers as a mom, I am past that stage and have been for a while. 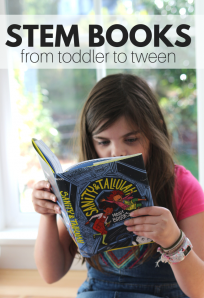 My youngest is six and my oldest is pushing 10 ( can you believe it?) 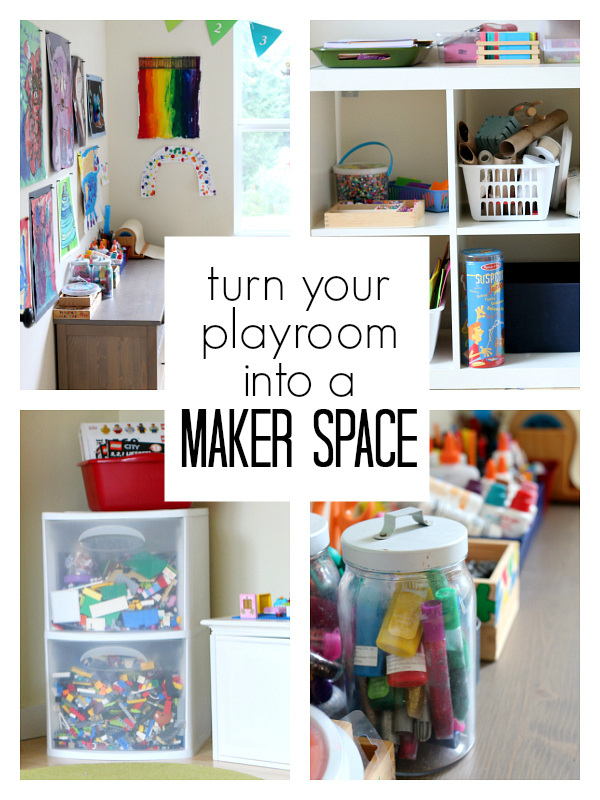 and it was time to turn our beloved playroom into a maker space. 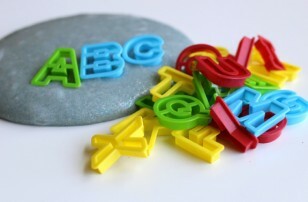 What’s the difference between a maker space and a playroom? 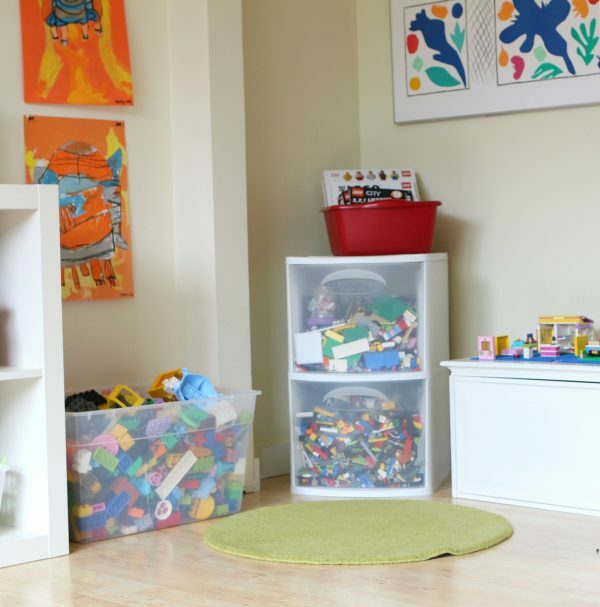 Even a great playroom has toys that do a lot of the thinking for you. Ours also had a bunch of literacy and math activities, dress up and more. A lot of things went to GoodWill and are being taken to my preschool classroom. 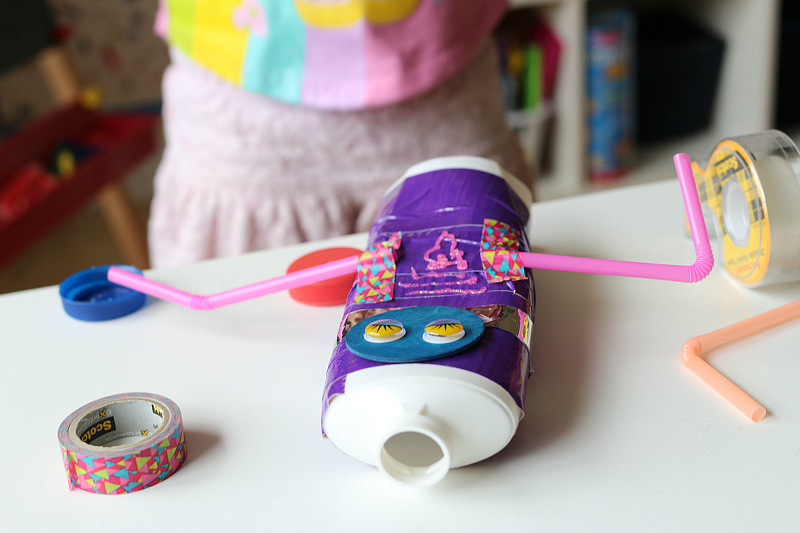 In our maker space, everything is there to create. There are books in our maker space, and while they are tools for inspiration I have nowhere else for them inside our house, so they are staying inside the drawers of the art buffet. The reality is the room has to work for your family too. 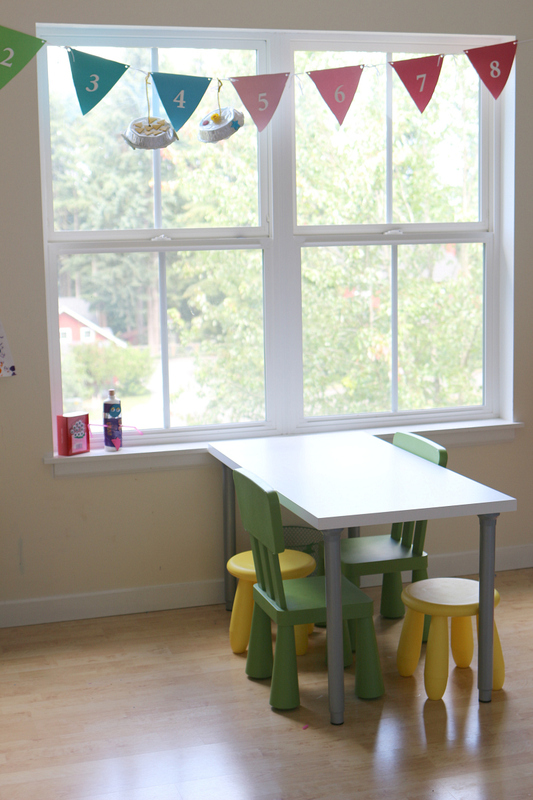 Here is our playroom for a toddler and a preschooler and our playroom for a preschooler and young elementary aged kiddo. 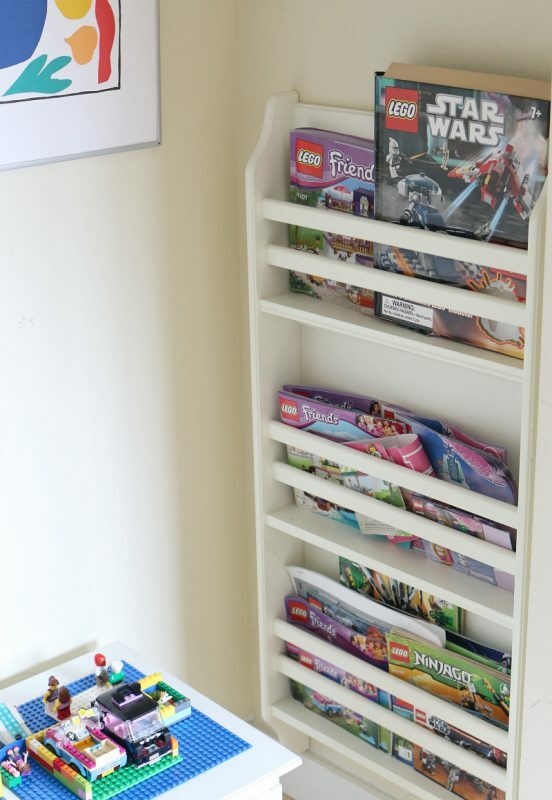 Lego Nook. It was hard getting rid of our reading nook, but it was time, my kids stopped using it for reading and with our ever-growing Lego collection, we needed a dedicated space in our house for it. Also even at 6 and nine my kids aren’t ready to get rid of the Duplo, so I have it all in one huge bin. An old toy box holds sets that are still together and on top I used double stick tape to stick the base plates on top. A two see-through drawer chest holds all our bricks which are just thrown in; the top are the bricks from my daughter’s sets, and the bottom are her brother’s, but really it’s all community property. The old book rack that originated in my son’s nursery has been repurposed into an instruction manual holder. The Lego nook is already a huge hit! STEM Shelf. 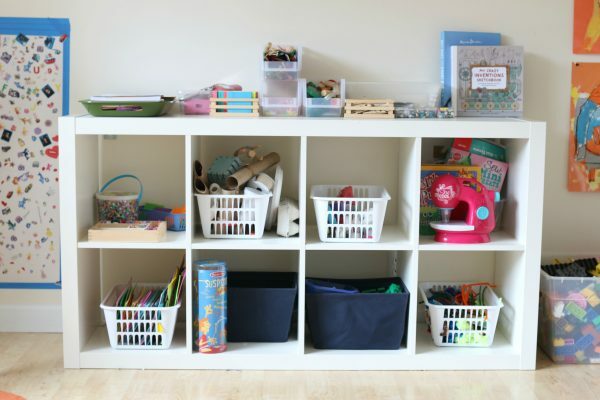 Much like the Art Buffet this shelving unit is packed with items to create with. 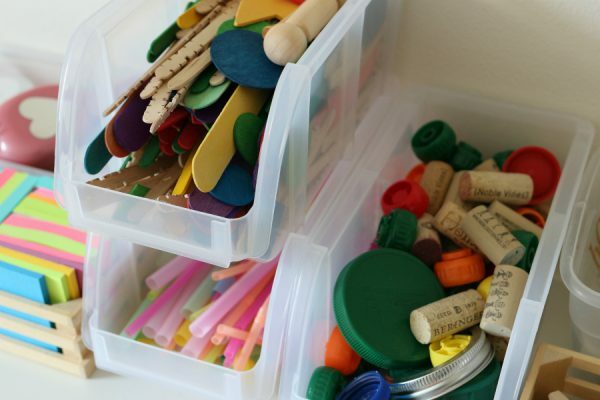 We have; Beads, foam, felt, recyclables, Hex-bugs,, tape of all kinds, Automoblocks, Gears, a Sew-Cool sewing machine and other plushie supplies, and pipe cleaners. 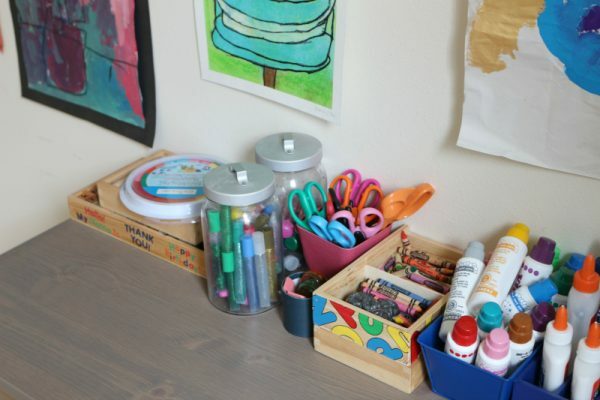 On top we have paper, paper cutters and hole punches, Post-it Notes, straws, wooden shapes, pegs, popsicle sticks, applesauce pouch lids, corks, bottle caps, clothespins, googly eyes, jingle bells, buttons, and stickers. 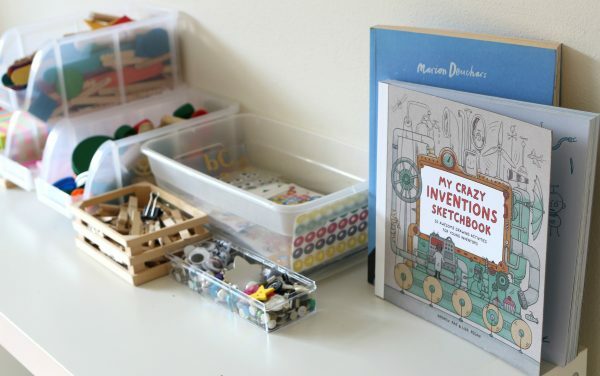 Oh and some great books like My Crazy Inventions Sketchbook to inspire! Easel. This is great for drawing out designs, and even “big” kids can benefit from writing on elevated surfaces, so this isn’t going anywhere anytime soon! Clear Table. 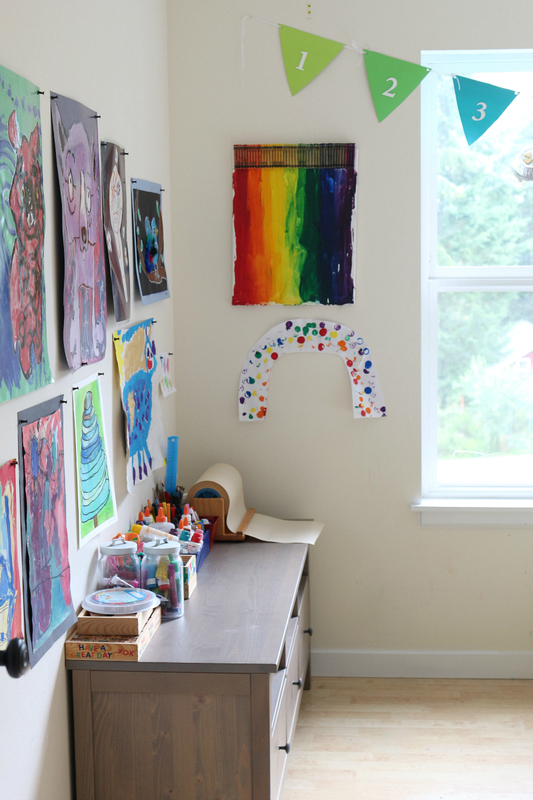 In our last playroom set up, I had supplies on the table, and that really helped my little artists create but now that they are bigger they need more space, and a blank space is inspiring! Swing. 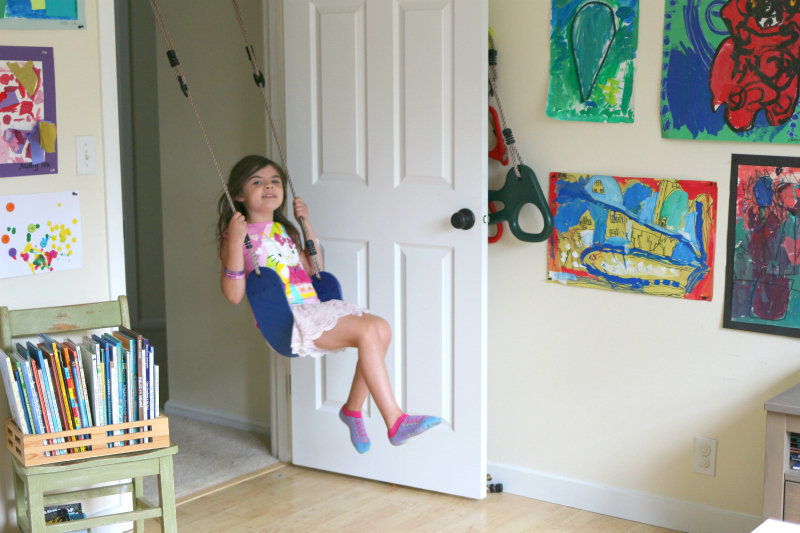 Now you might be asking what does a swing have to do with a maker space? Well, swings are calming, and they are a must at our house, it helps my kids chill out before bed especially, but it’s also a great place to take a break from inventing and to plan out your next great creation. Ours is part of a Gorilla Gym set up. 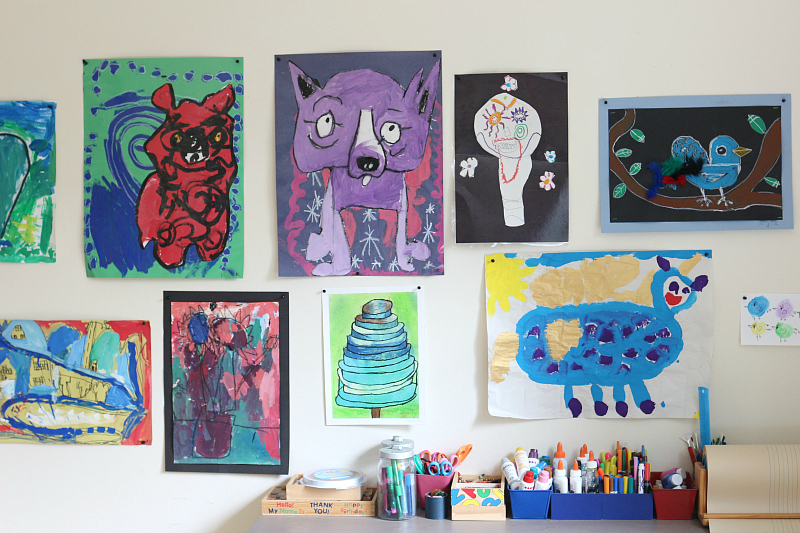 Walls filled with their creations. It’s important for kids to see that we value what they make. I am sure this gallery will shift and change, what’s important is that it’s filled with their creations. 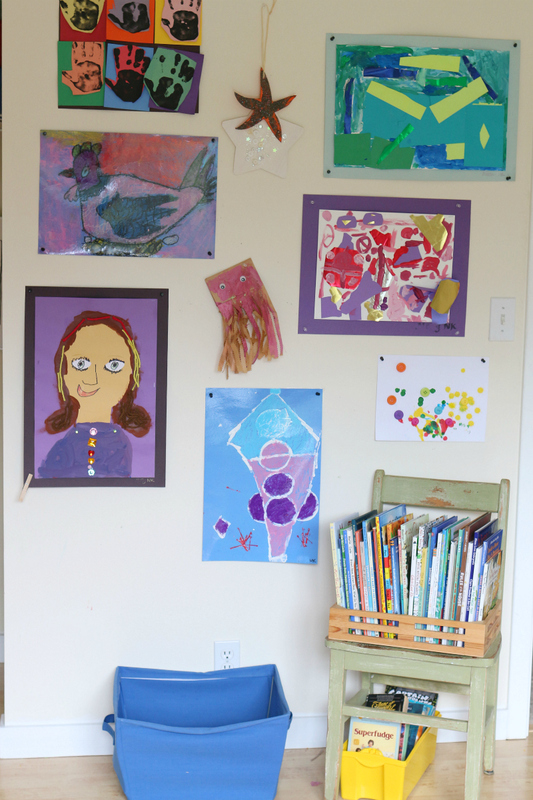 This is why I moved the Matisse to the Lego Nook and let their art take over. My daughter couldn’t wait to get into our new maker space, and once I announced that it was ready, she was all over it. She considered the materials and went straight to work. I love what she made! 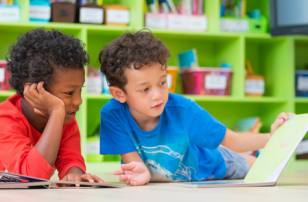 This post is part of our Summer STEM Lab series. I encourage you to find some materials and make a maker space even if it’s just a spot on your kitchen table. 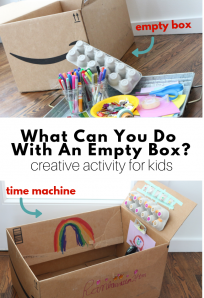 Let your kiddos create! 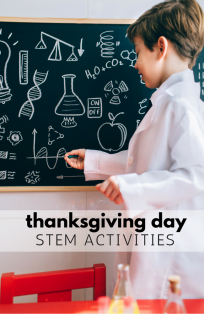 You can see all our Summer STEM Lab posts here or by clicking on the image below. 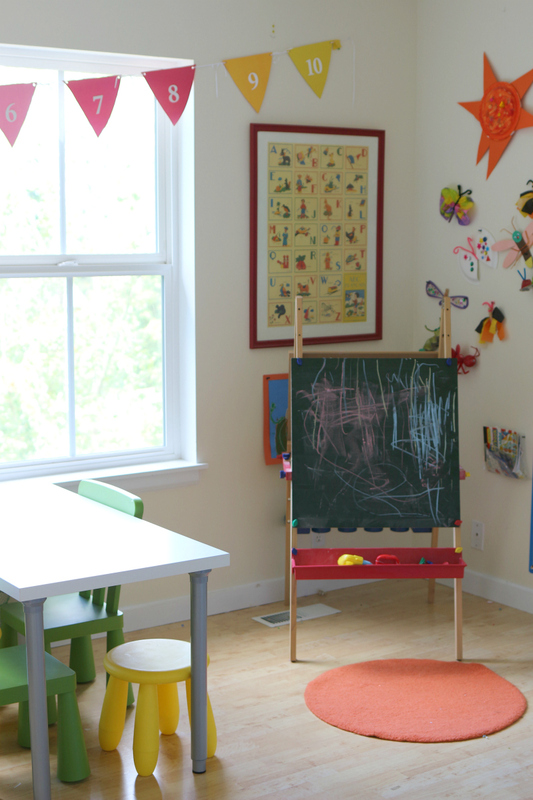 Your two previous playroom setups were beautiful and inspiring in this third one isn’t different. Congratulations! 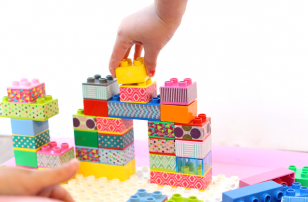 By the way I think it is so precious that your kids still love Lego Duplo! Mine is 5.5 and I think he’s playing more with them nowadays than when he was 2 or 3. Thanks for sharing. I feel like I’m in a decorating rut for my playroom and daughter’s room. I appreciate the inspiration. Where did you buy the white stem shelf? I like how it’s a little deeper than others I’ve seen. Ikea – in the make your own table section by the desks. Can your son still fit/swing n the doorway swing? My kids are 10, 8, and 5, and I’m wondering if we’re on the too-big end or the just-right end. I think the just right end because my 10 year old son swings on it all the time, he likes to read on the swing – he’s 4’8. I do too and I am 5’4. Awesome post! 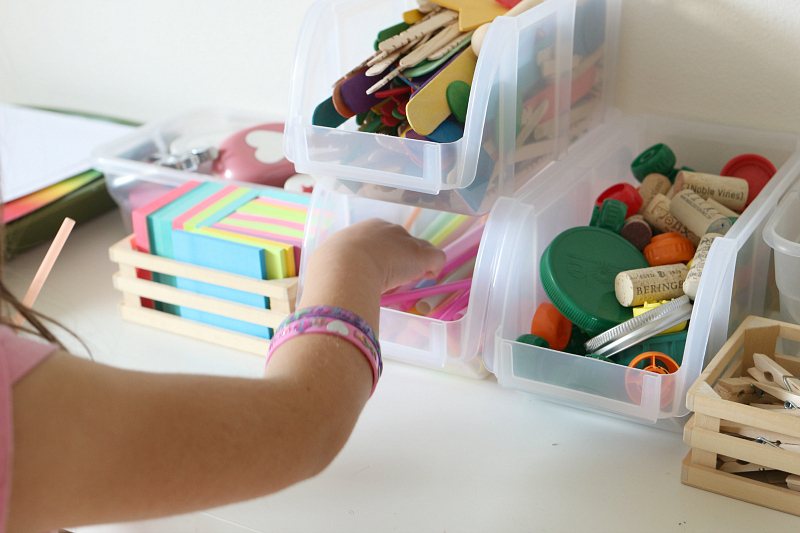 May I ask how you store the pool projects and artwork that your children have done? 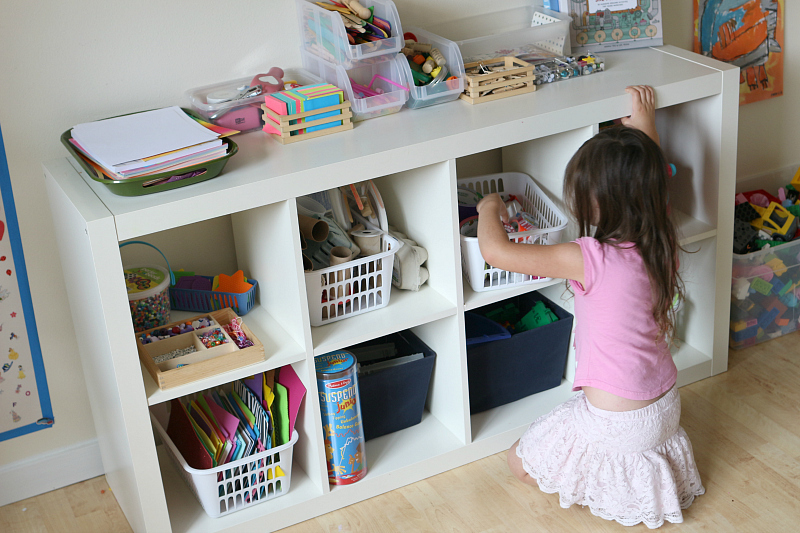 I never kept anything we made here on the blog because we have photos but I have giant bins for stuff from school. It’s not the best way I am afraid. I should just take photos and make a photobook!